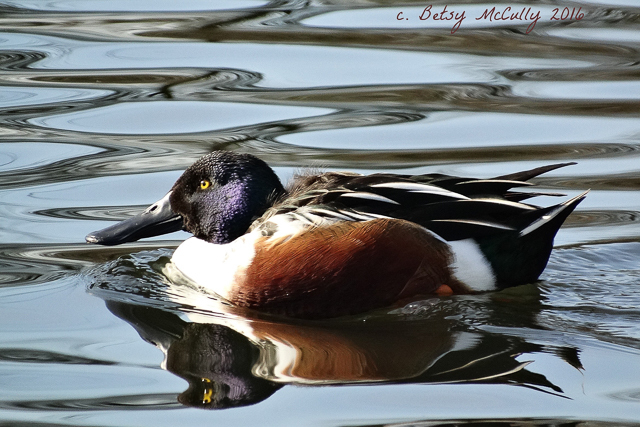 Northern Shoveler (Spatula clypeata). Marshes. Winter visitor to coastal ponds. and wetlands. Camman’s Pond, Long Island.